1. What made you (the band) decide on this particular style of music? How would you describe your music as a genre? I’m not sure as to whether we decided on a particular style of music, but we did decide on a particular style of lyricism and delivery. We put the majority of our time into that side of things, the music then often comes quite naturally… almost on it’s own accord. 2. “Rat in the cage” has a beautiful introduction, introducing the album in relation to the context of Brexit and other historical events. Do all of your songs have a heavier meaning? There’s a fine line between something that can be thought of as profound or that which can be self-righteous or preachy. We thought about this a great deal when writing Columbia. Whilst we wanted to raise the issues that we have with the world around us, we didn’t want the songs to become swamped in them. With that being said, if you look for something, you’ll tend to find it but it’s only there if you want it to be. If you just want to tap your foot and say ‘hey that’s a good song’ then that’s alright. 3. What is your method in making music, what comes first? Vocals, backing or a meaning or metaphor for example? We’ll start our songs with a phrase or a short excerpt from something we’ve read or overheard. I’m often amazed at where imagination can take you when it is only given one piece of information. Fewer restrictions. In terms of Columbia, we began to realise that all of our material would fit into a dystopian style narrative and with that this dystopian-anthemic style came. The music almost always follows the lyrics for us. It just seems so easy to do it that way. 4. Could you explain your name “the blinders”? There’s really not much to it. The TV Show “Peaky Blinders” was hot at the time. We needed a name for our first gig. Turn’s out Bob actually is your Uncle, who’d have thought? Although we have been approached with some pretty interesting interpretations of the name, none of which are true unfortunately. 5. Who would you compare yourself too, who are your musical inspirations or people you’d love to collab with? Almost all of our musical inspirations and idols are dead or at least shells of what they once were. Nick Cave and The Bad Seeds or the Arctic Monkeys would be then the only logical answer then, but that is the stuff of fairy tales. 6. Anything you’d love the readers to know about yourself? Some personal or funny facts? Talents? Or dark secrets? Does anyone actually answer these types of questions with dark secrets? I’d love to know… Matt can complete a rubix cube in under a minute. Other than that, we’re pretty uninteresting unless we’re drunk. 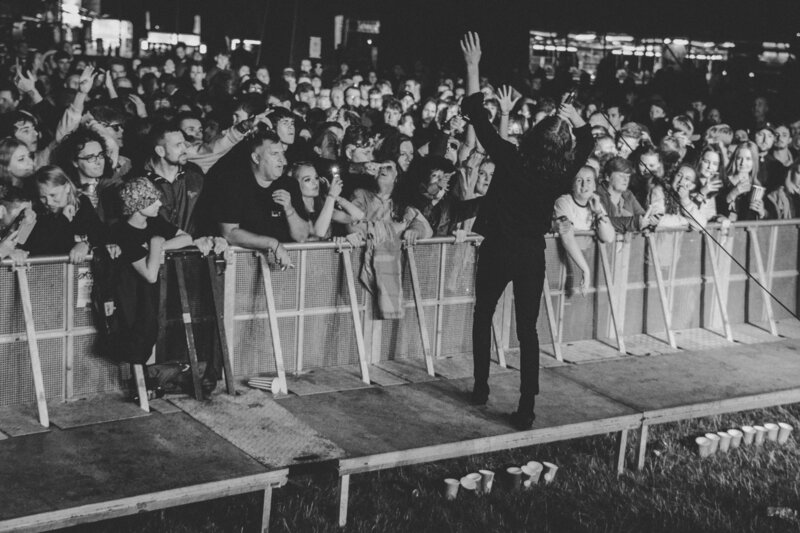 The Blinders are sweeping the nation and world with 4.5 Million Streams, 40k Followers In USA and 40k Followers In UK! 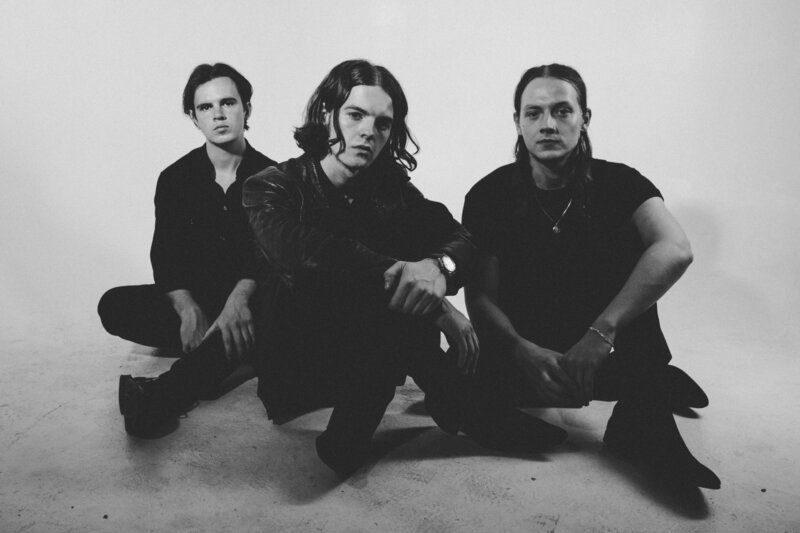 Check out The Blinders social medias below, as well as giving them a listen on Spotify. The band are currently touring so if you’d like to see these guys, head to their website for more information! 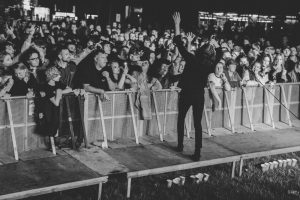 All images copyright of The Blinders and Sam Crowston.